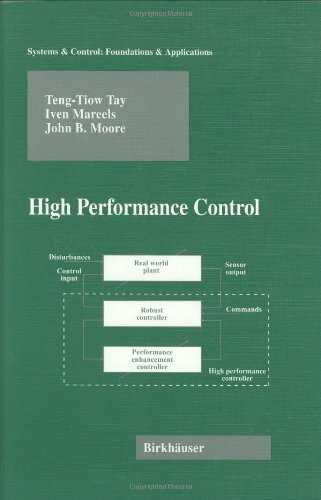 Using the tools of optimal control, robust control and adaptive control, the authors develop the theory and practice of high performance control in a real world environment. Topics include performance enhancement, stabilizing controllers, offline controller design, and dynamical systems. This textbook introduces the basic concepts of mathematical control and system theory in a self-contained and elementary fashion. Written for mathematically mature undergraduate or beginning graduate students, as well as engineering students. The book is motivated by the development of high quality integrated sensors and actuators, powerful control processors, and hardware and software that can be used to design control systems. Written for students and industrial control engineers.